Your Reservation Experience Is Important to Us! Your vacation experience with Pelican Beach Management begins here and we want to be sure your experiences with us is always pleasurable! We encourage our website visitors to browse our inventory of condominiums and specials and to make their reservation via our online booking system. ■ Submit a Reservation Request Form and we will respond with the best selection of condominiums which match your needs. DISCOUNTS: All offers are subject to availability at the time of reservation. Offers are not valid in conjunction with any other offer or contract and do not apply to groups. Rates are per room, per night, vary by arrival date and/or length of stay, and do not include applicable taxes, Resort Fees, gratuities or surcharges, unless otherwise noted. Early departure fees may apply. Rates are subject to change. On a few occasions, our promotions may not "fit" our online reservation system perfectly. On the occasion your rate or confirmation total is not correct, we want you to have confidence that you will be charged the correct rate for your vacation stay with Pelican Beach Management. If you are making a reservation, please be confident any applicable discount will be applied to the confirmation you will receive via email. 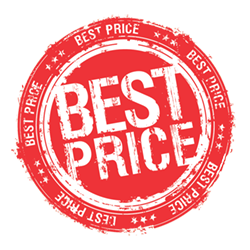 If you find a discount has not been properly applied, please email or call us (888) 735-4226 upon receipt of your confirmation and we will cheerfully adjust. CREDIT CARD/DEPOSITS: Please note, a credit card is required to make a reservation. A $200 deposit will be charged at the time of reservation. The balance for your reservation will be collected upon your arrival. Any incidental charges will be collected at the time of your departure. CANCELLATION: There is no penalty if your reservation is cancelled more than 14 days prior to arrival. The $200 deposit will be forfeited if your reservation is cancelled 14 days or less before arrival. CONDOMINIUM SELECTION: Please feel free to browse and make your reservation via our online booking system. However, please keep in mind that Pelican Beach Management, Inc. does not guarantee specific units. On occasion, the availability of a unit selected in our online booking system may become "unavailable" due un-scheduled maintenance, ownership change, etc. We reserve the right to change unit selection when this occurs. Please be assured if this happens, you will be placed in a comparable condominium in class, size, etc.